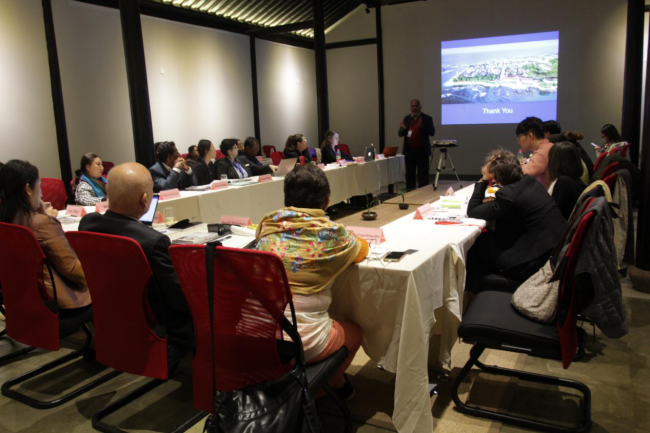 Organized by WHITRAP Shanghai, the First Meeting on Networking Asia-Pacific Heritage Practitioners was hosted in Tongli Town, Jiangsu Province from November 5th to 8th, 2018. 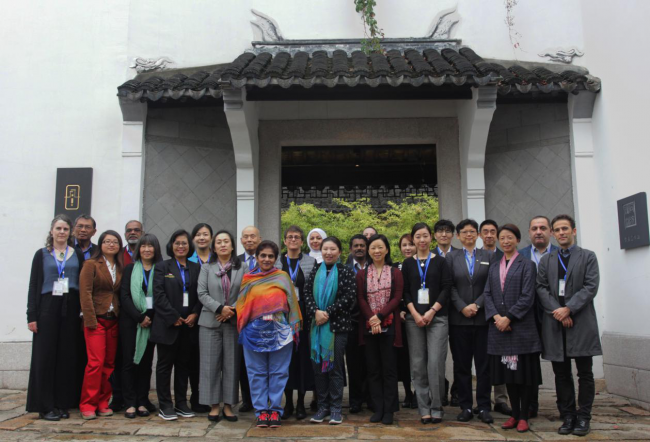 23 heritage practitioners and representatives of regional partners, such as UNESCO Beijing Cluster Office, ACCU Nara, SAARC Cultural Centre, SPAFA, and OWHC-AP1, from 14 countries were invited to participated in this meeting. It aims to enhance the WHITRAP’s mandates on Network building by more regular activities in the region. The meeting was composed of two parts: one was to develop a regulatory framework for the Network, the other part was a workshop on “Conservation and Management of Heritage: Wither Theory?”, which intended to identify the gaps between theory and practice, as well as common issues faced in the region. 10 case studies from 9 countries were presented by experts who had directly involved in these projects: Subak Cultural Landscape (Indonesia), Southern Anhui Area (China), Mount Wudang Scenic and Historic Interest Area (China), Persian Qanat (Iran), Ballarat (Australia), George Town (Malaysia), Lahore Fort (Pakistan), Krung Rattanakosin (Thailand), Shirakawa Village (Japan), and Fortified City of Galle (Sri Lanka). Each presenter tried to touch on the following aspects: the overview of the case, the principles/theories (international or national) that were applied already, the successes or failures which the practitioners experienced when implementing the plans, and the challenges they faced as well as the new ideas they put forward regarding filling the gaps between theories and practices. The last session of the meeting focused on the regulatory framework. All the components of the draft were discussed in detail and revised by the experts in terms of the alternative organization names, its objectives, potential activities, membership composition, financial resources, governance, working languages, standing committees, and other concerns and issues as well as benefits. Prof. Zhou Jian, Secretary-General of WHITRAP, appointed Gamini Wijesuriya, Special Advisor of WHITRAP Shanghai, as the leader of the Heritage Asia Pacific and expressed WHITRAP’s willingness and capabilities to support the Network. The meeting was an opportunity to review the current situation of network building in the Asia-Pacific region and to exchange experiences and ideas among heritage practitioners. With the completion of the proposed regulatory framework, an initial Network for both individuals and consortium of member organizations has already built, and it is expected to be evolved into a full-fledged one in the future. 1UNESCO, United Nations Educational, Scientific and Cultural Organization; ACCU Nara, Asia-Pacific Cultural Center for UNESCO; SAARC, South Asian Association for Regional Cooperation; SPAFA, SEAMEO Regional Center for Archaeology and Fine Arts; OWHC, Organization of World Heritage Cities.